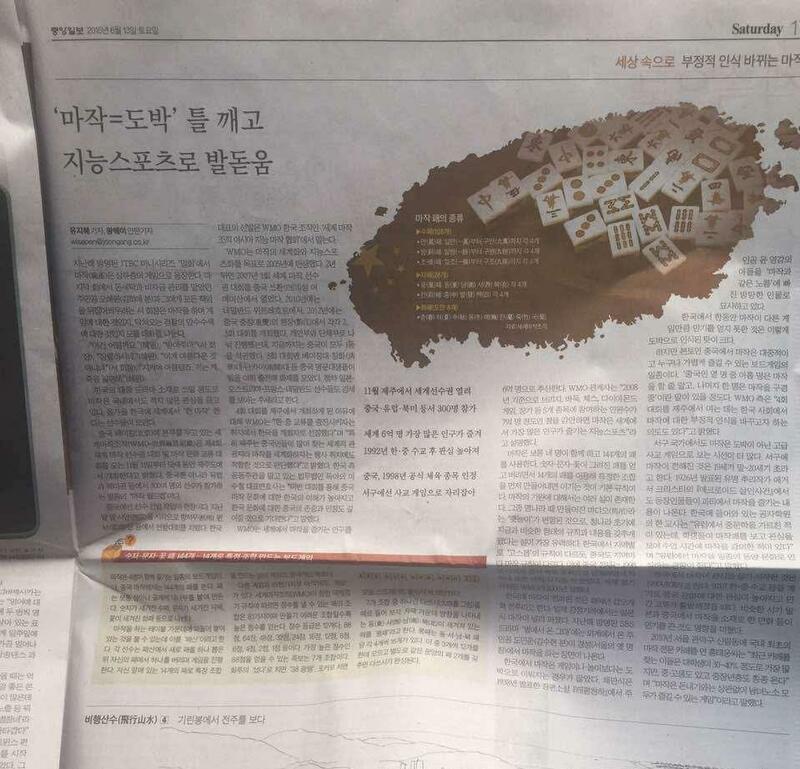 Central Daily of South Korea reported that the Fourth World Mahjong Championship will be held at Jeju Island, South Korea, form November 11th to 15th. World Majong Championship is a international tournament organized by the World Mahjong Organization. South Korea member of Competition Committee of World Mahjong Organization, WinAsia Law Firm and Asia Mind Mahjong Sports Association had applied for host WMC at Jeju Island, South Korea. The Fourth World Mahjong Championship will use international Mahjong Competition Rules by the World Mahjong Organization. The whole Mahjong set is 144 tiles. It use principle of non political, non religious, non discrimination of any sort. Central Daily reported that World Mahjong Championship is the largest and most important Mahjong competitions in the world. South Korean organizer promise make it open and fair. South Korea organizers will use WMC as a chance to promote healthy, scientific and friendly Mahjong culture, advocate Olympic spirit, advance understanding of different culture group. Jeju Island is a famous tourist destination South Korean organizers will make a grand event combined with competition, sightseeing and culture exchange. World Mahjong Organization and South Korean Organizing Committee will let member organizations handle player registration. WMC's schedule and regulations will sent to all member organizations. A good communication channel will be kept to ensure a smooth registration process.